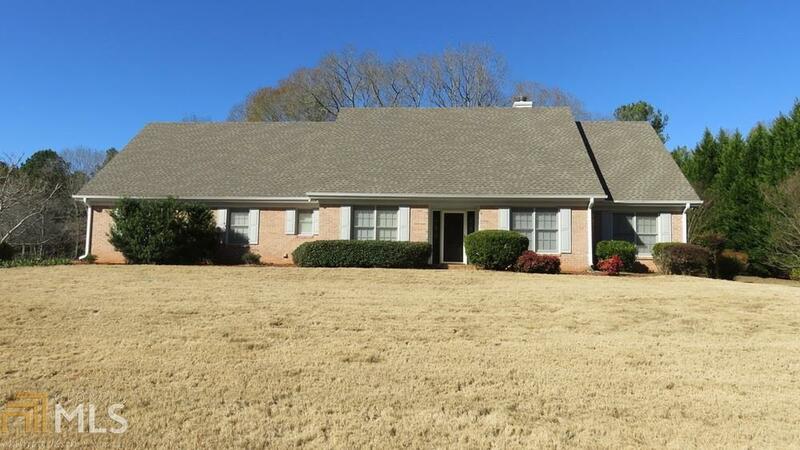 Beautiful 4BR/3BA ranch in neighborhood convenient to Conyers and Covington. Elegant brick exterior with partially covered back patio on large, nicely landscaped corner lot. Large master suite with separate shower/jetted garden tub and large walk-in closet. Vaulted ceiling in living/great room featuring beautiful fireplace with gas logs. Eat-in kitchen with breakfast area that opens to the living/great room. Split bedroom plan with large bonus/BR upstairs that has a full bath and two closets. Large storage room in garage area and big laundry room in kitchen area. Directions: I-20 East To Exit 82 (Hwy 20/138). Turn Right At Exit. Travel Approx 5.5 Miles And Turn Left On Christian Circle. Turn Right On Caritas Ct. Home Is First Driveway On Right.